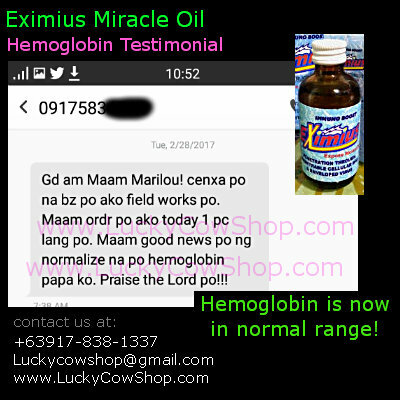 Last time, we posted a testimonial about a father whose creatinine and hemoglobin is out of range. We got an update and now, we're posting it here. 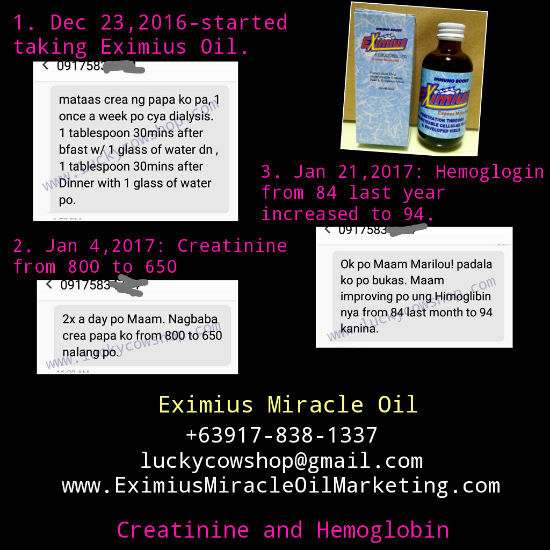 * December 23, 2016, his father started taking Eximius Oil. 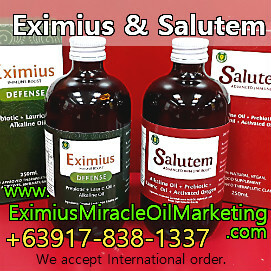 He's taking Eximius with the dosage of 5 ml 2x a day. * January 4, 2017, I got an update. His father's creatinine improved, from 800 to 650. But still, they didn't see any improvement on his hemoglobin. * January 21, 2017, his father's hemoglobin increased from 84 last year, to 94. * February 28, 2017, his father's hemoglobin is now in normal range!